Installing a home alarm system will add a layer of security that will make it more difficult for an intruder to break into your home. The intruder will think twice about breaking into a home that is protected by a home monitoring system. Visible outdoor cameras are a good way to display the fact that you have an alarm system. Choosing the right system for your home requires planning. The first step is to determine how many cameras you need to cover the entry points into your home. 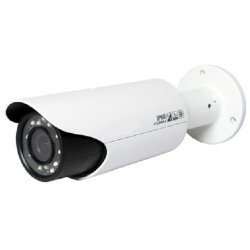 A complete security system consist of a digital video recorder that has the capability to support between four and 32 cameras. A home alarm monitoring system gives you the ability to monitor the activities of the security cameras. You can monitor the system from your home or another location. There are home alarm monitoring services that will monitor your system 24 hours a day for a fee. The security system you choose for your home should include a digital video recorder that supports your home’s security needs. You can choose a security system that is wired or wireless. Motion detectors can be included in your security plan. A professional security company can help you determine the security needs for your home. Motion detectors are helpful because they can detect an intruder’s movements throughout the home. These sensors are most helpful at night or when no one is in the home. The system will alert the authorities within a predetermined time period if the system isn’t shut off by the homeowner. Video surveillance systems are helpful to identify the burglar. The video recording offers proof to the law enforcement agency that a crime has been committed. It is important that you buy enough security cameras to cover the entire area of your home. A standard security system can be installed on the windows and doors of your home. An alarm will sound if someone tries to break in. You can choose whether or not you want the system to be monitored by a security service. If you have chosen a professional company to monitor the system, then the correct password must be given to the company when they call. If no one answers the call, then the security company will contact the local law enforcement agency. The highest level of security is achieved by combining video, motion detectors and alarms to protect your home from intrusion. A wired security system can’t be disabled by an intruder. The control panel can be placed in a secure area of your home. The wires are installed within the walls of your home and the intruder will not be able to disconnect them. If an intruder attempts to disable the system, an audible alarm will sound. The control panel offers the security of a backup battery in case you lose power to your home. The system can alert the authorities in the event power is lost. Wired security systems are difficult to install in some homes. A wireless security system are convenient because they don’t require a telephone line or electrical power in order to do their job. The cost is usually more than a wired security system, but the convenience outweighs the cost. This type of security system is easy for homeowners to install on their own. The security company where the equipment is purchased can help the homeowner with any installation problems. You can also hire an outside contractor to do the job for you. If someone breaks into your home, then you can choose whether the control panel calls the local law enforcement agency or a professional security monitor service. Outdoor video surveillance cameras play an important part in protecting your home. Recorded video images will capture the identification of the intruder. This is valuable information that can be given to law enforcement agencies and your insurance company. It is important to shop around for the right video surveillance equipment for your home. You’ll find a variety of features and benefits of an outdoor video surveillance system. Read online reviews about different video camera manufacturers to choose a good security system. Ask a home security company to recommend the best security manufacturers. Remote security systems are gaining in popularity because they are easy to monitor. 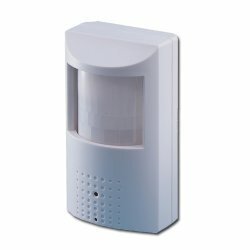 They can be accessed through a home computer or you can hire a professional alarm monitoring company. The advantage of hiring a professional company is the fact that you get real-time monitoring services 24 hours a day. This is helpful when you are going away for a vacation or business trip. Professional home alarm monitoring services in Pompano Beach will alert the proper law enforcement agency should intrusion be detected. You can choose for the security system to turn on the lights giving the illusion that someone is home. These systems can be accessed through a cellphone or computer. If cost is a concern, you can choose to spend less money by choosing a basic security system. A basic security system consist of audible alarms on the doors and windows only. This is the basic layer of security that won’t cost much. These basic security systems don’t offer remote monitoring. Spending a little more money will give you additional security protection. Outdoor video surveillance equipment prices have dropped within the past few years. You will be surprised at home economical it is to purchase an outdoor video surveillance system. The presence of cameras can deter crime. Home security sensors are often located on doors and windows. These sensors will trip the alarm if they are broken or forced open. There are several mounting options available that include wired sensors placed inside window frames and doors. Wired sensors can also be placed near the entrance to the garage. Wireless mounting options are convenient because they are easier to install. You will also find sensors that detect when glass is broken. This is helpful on doors that contain glass. Intruders often use glass to break into a home. These sensors don’t cost a lot of money and they provide additional security. Modern motion detectors do a great job distinguishing between pets and intruders in the home. Motion sensors detect movement throughout the home. This is particularly useful inside the home as well as outdoors. Outdoor motion detectors are strategically placed in entry and exit points of the home. You can purchase lights that come on when there is movement detected. There are video surveillance cameras that start recording when movement is detected. If you have a backyard swimming pool, then motion detectors are helpful to detect movement around the swimming pool. This is especially beneficial when you have small children. Another way to protect your home, is to buy good doors that lead into your home. Security doors help prevent entry into your home because they are heavier. Heavy wood or steel doors are harder to break into. Installing good locks and deadbolts help prevent intrusion. Peepholes should be included in your security plan. They will allow you to see who is at the door before opening. Buy the best hardware you can afford. Good hardware works together to keep intruders out. Newer security locks have key less and remote control capabilities. This prevents an intruder from being able to remove the lock with a screwdriver. Home security systems contain a dialing device that automatically calls phone numbers in the event the alarm is triggered. The device can be set up with a land line phone or a wireless phone or device. They can be used to alert fire rescue personnel in the event of a medical emergency or fire. The wireless devices increase your security protection because the lines can’t be disabled. If you hire a home alarm monitoring services in Pompano Beach, the dialing device can be set up to call the service. Speak with a professional home alarm monitoring service to determine your needs. To find the right home surveillance equipment, consider the camera’s capabilities. You need a camera that has enough battery power to function for long periods of time. You need to also take into consideration the amount of storage space found on the digital video recorder. You can choose a solar wireless system to power your camera. Most people need security equipment that has the capability to record through the overnight hours. Choose a camera that will stand up to inclement weather conditions. Cheaper versions may be damaged during severe weather. One advantage to hiring professional alarm monitoring services in Pompano Beach is the use of security signs and stickers. Placing stickers on the doors and windows of your home will alert intruders of the presence of security equipment. Security service signs can be placed at the entry and exit points of the home. The garage entry and exit points should be included. The presence of signs, stickers and cameras go a long way in the prevention of home theft. Another good idea is to buy a sign that alerts intruders of the presence of a guard dog. Even if you don’t have a guard dog, you can still put the sign up on the fence of window of your home. If you decide to buy home video surveillance equipment, you should consider the best ways to set up your cameras. A clear line of sight is the first consideration. Be sure the landscaping doesn’t interfere with the line of sight. The security camera needs to cover the entry and exit points of your home. Include the garage and the perimeter of your yard. Decide whether you want a wired or wireless security system. Check out the manufacturer’s website for more information about their equipment. If you want to be able to access the recorded images from any computer, then choose a camera with Internet protocols. Some systems monitor the home for carbon monoxide, smoke and gas leaks. Technology has advanced when it comes to what is called smart homes. A smart home is a home that has automated equipment connected by a controller. The controller operates the home’s systems such as water sprinklers and home heating and air conditioning thermostats. A smart phone is a convenient way to run the home. Home alarm monitoring services in Pompano Beach will help you make security decisions that include the latest technology advances. Improvements are constantly being made in the home security industry. Protecting your home should be a high priority. The advantages of hiring home alarm monitoring services in Pompano Beach is the fact that you don’t have to spend the time monitoring your security system. Most people don’t have time to watch the monitors. Professional home alarm monitoring services will watch your home 24 hours a day and seven days a week. There is peace of mind knowing your home is being watched by trained professionals. There are safe systems available that allow you to enter a special pass code for different types of emergencies. For example, if an intruder forces you to enter the code to stop the alarm, you can enter the special code for this type of situation. The monitoring service will recognize the emergency, shut the alarm off, but still call the proper law enforcement agency. Most cities have penalties for responding to false alarms. False alarms take law enforcement resources away from needed public services. You can purchase a basic security system that isn’t monitored to save money. A basic security system will rely on you or your family to verify the intrusion. If you’re not home, this can cost valuable time in the event a real intruder has invaded your home. The cost for home alarm monitoring services is low when you consider the potential loss. Most monitoring services offer helpful guidance when choosing your security equipment. Some insurance companies will offer discounts for homeowners who have security equipment installed. There are many ways you can protect your home from danger. The choices you have for home security equipment is great. You will find the right security equipment that meets your needs. For any further information, please do not hesitate to contact us.